Leonardo da Vinci once stated that Simplicity is the ultimate sophistication. Steve Jobs said, “Simple can be harder than complex: You have to work hard to get your thinking clean to make it simple.” The architect Ludwig Mies van der Rohe also agrees with the notion of Less is more. They say people die but their work stays with us. To ponder, to reflect, and to make good use of it. Even after half a millennium, the words of Leonardo da Vinci ring true. In the modern-day, minimalist advertising is something brands are leveraging to generate leads. It’s hard to believe Steve Jobs himself said that it takes more brain power to design something simple. And when minimalist advertising is done right, it can leave an impact which can drive action from users. What exactly is Minimalist Advertising? The marketers are suffering not because they are not creative enough, it’s because they fail to offer something different. 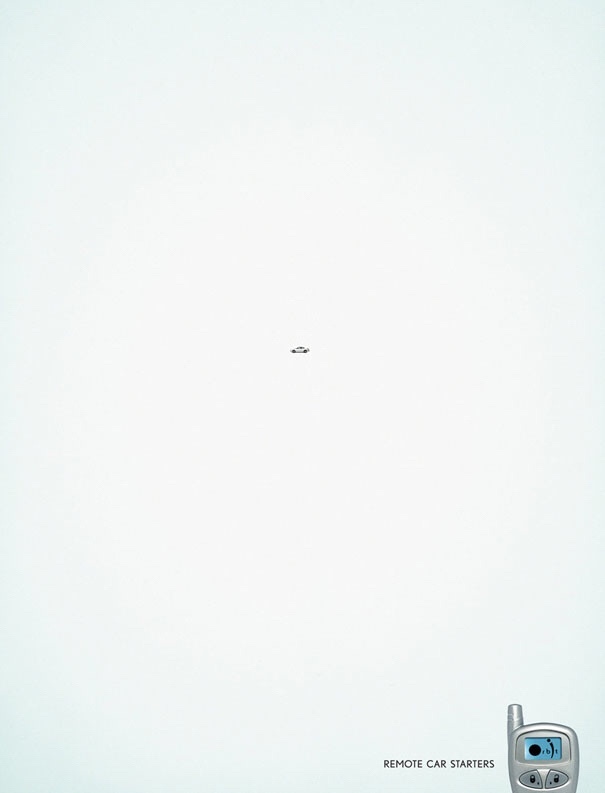 Minimalist advertising is all about clearing out the mist to gain instant attention. Being out there and not generating sales is an exasperating experience. Do you know that overwhelming users with mountainous choices can leave them fuzzed? And instead of taking any action, they end up not buying at all. Chip Heath and Dan Heath in their best-selling book “Made to stick”, talk about the Jam experiment. Related: How to Incorporate Minimalism in web designs? In a study conducted by Sheena Iyengar and Mark Lepper from Columbia and Stanford University, shoppers at an upscale market were presented with 24 gourmet jam flavors and were promised a discount voucher upon sampling the spreads. On some other day, only 6 varieties of jam were on display. The psychologists concluded that while the larger display attracted more throngs, people bought way more jams from the smaller display. This, in a nutshell, is minimalist advertising. Using the power of simplicity to drive users to make one solid decision. If you go through minimalist advertising of any professional digital marketing agency, you’ll conclude that they are breaking the pattern with simple marketing. An ad created by Richter7 is a perfect example of how to turn heads with minimalist advertising. No complex design patterns, no hidden messages. Just a simple to-do action that will compel users in the throes of marital troubles, contact StongerMarriage company. When it comes to imagination, nothing beats the fancy of a child. Time and again, LEGO came-up with creative, thought-provoking ads that captured the attention of kids. 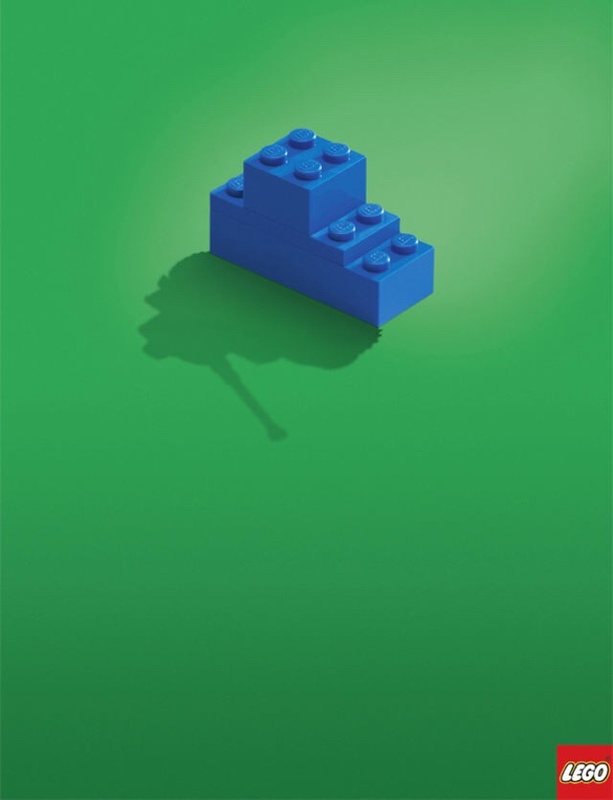 In this ad, three pieces of LEGOS are put together, with their silhouette forming a tank. The consumers can easily recognize the imaginative and playful promotion of the LEGO brand. Brands can learn a lot from minimalist advertising. Regardless of your budget, you can always come up with something simple and creative to send a powerful message to your audience. Brand recognition is at the heart of every brand. Organizations spend a hefty amount of money on their branding, but what if that branding can be combined with advertising and product promotion? 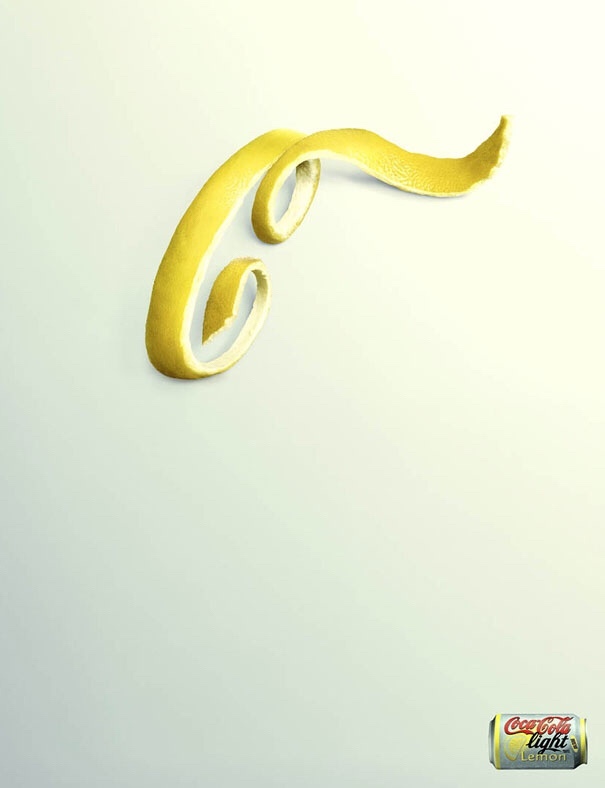 Coca-Cola did an amazing job of promoting their new lemon flavor drink by peeling off a lemon in C shape to resemble the Coca-Cola iconic logo. This ad sets a brilliant example of combining brand recognition by promoting a new product. 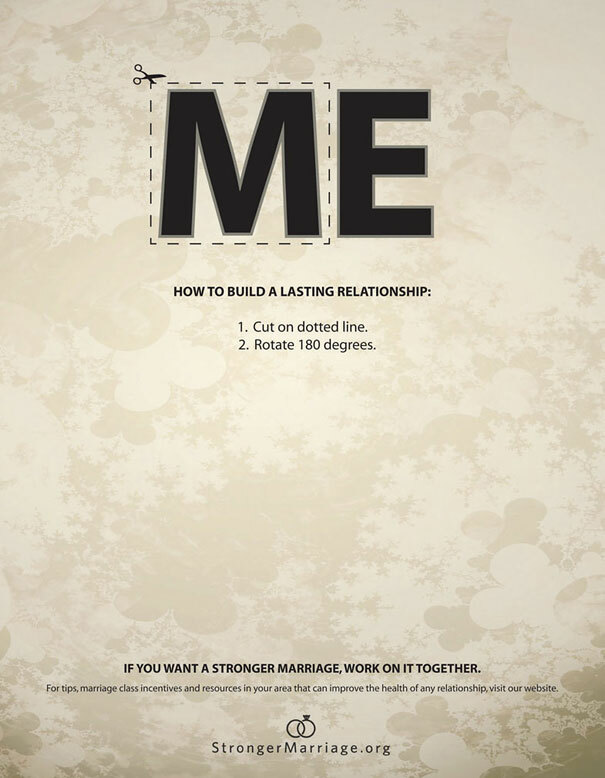 The amazing thing about minimalist advertising is that there is no need for any special tools to compose an ad. You can use everyday items to create something fascinating. 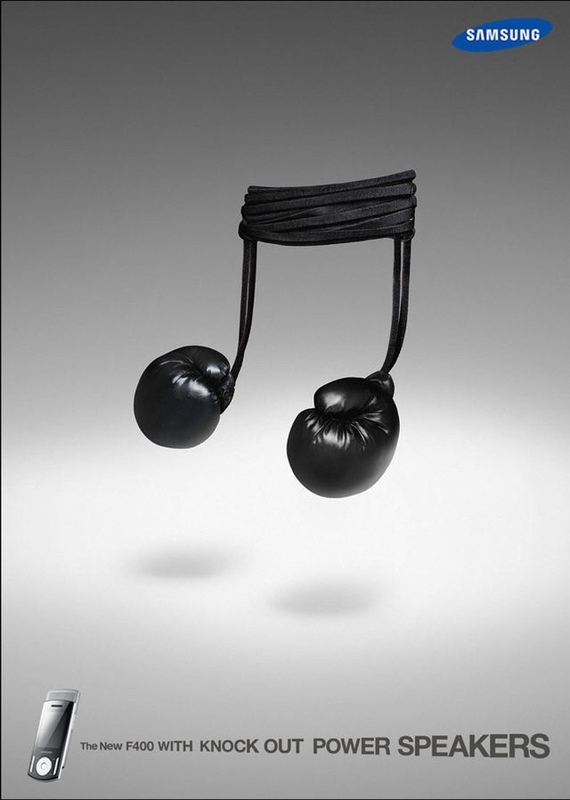 Look at this ad by Samsung that aims to promote knock out power speakers. 245% increase in total leads. Let’s meet over a Coffee! Not just promoting the product, Samsung applied the product colors on the theme to introduce familiarity with the product. Brand familiarity brings higher ROI while an unknown brand or even a product can lead to lower ROI. To make a statement, try to pick objects that are already in the minds of your consumers and figure out a way to relate them to your product. At a glance, you might think that something is wrong with the Orbit ad. But a closer look will reveal that the ad is a brilliant attempt to convey a crystal-clear message. The remote car starters can work even from a distance. They stay true with the brand: All these ads have product and brand colors that give the feel of the brand itself. This is the easiest way to promote your product and remain relevant at the same time. Few words with more impact: All the ads have limited text with well-thought-out images. The ad is simply attention-grabbing and connects with the users on an emotional level. The Company Logo: All ads incorporate the company logo to remind customers of the brand. The logo itself is a reason to trust the brand and make a purchase. Each ad is crafted with care: While it seems that it only took minutes to design these ads, there is so much energy and deep thinking involved. From branding to product promotion, every aspect of the brand is meticulously crafted. Not an exact science: Creativity is not an exact science. But it takes a whole lot of energy to create minimalist advertising campaigns that resonate with customers and make them loyal to your brand. As per the word of Don Draper: “make it simple, but significant”.